HardwareCanucks reports XFX is no longer offering Double Lifetime Warranty (aka warranty on second hand cards) on the Radeon HD 7900 series. 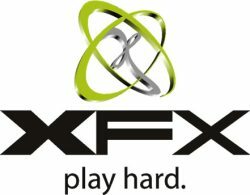 According to XFX, their Double Lifetime warranty just wasn’t sustainable and decided against offering it on HD 7900-series cards. From a business standpoint, we tend to agree with a move away from money loosing propositions but we can’t recall any public notification of this shift so consumers were in the dark. Buyer beware we guess. - Cards with Double Dissipation (Double D) or whose product number ends in “R”: Lifetime warranty if registered within 30 days. Additionally, the site also points out that there are now "Warranty void if removed" stickers on the heatsink screws of the Radeon HD 7970, an indication that the company is getting less friendly towards modders.